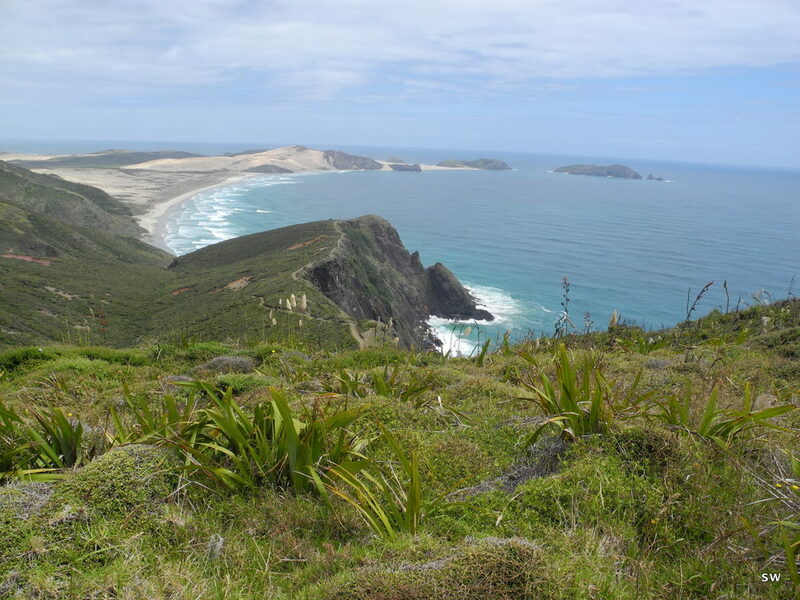 Cape Reinga on the Northern tip of New Zealand is where the Tasman Sea and the Pacific Ocean meet. 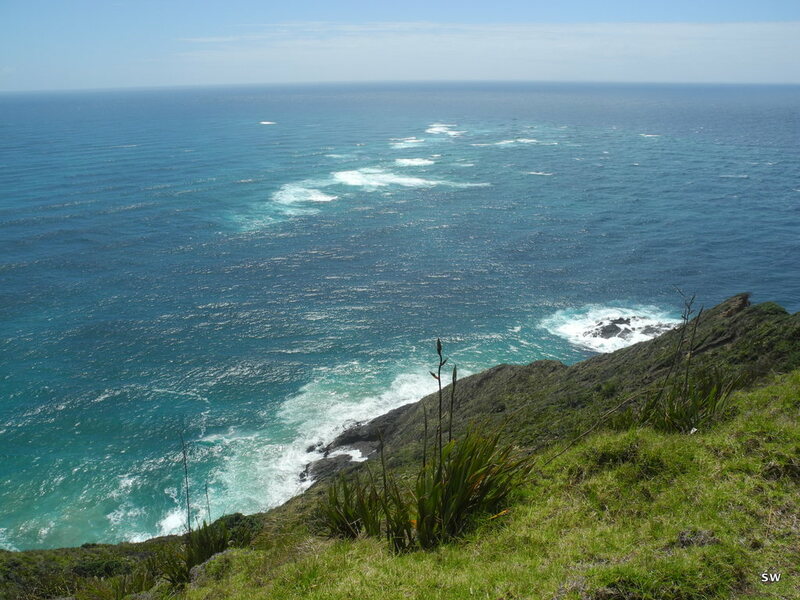 The Maori believe that this is sort of a reunion of a male and a female sea, and that the souls depart from here for the journey, so there is a lot of spiritual significance attached to this place. 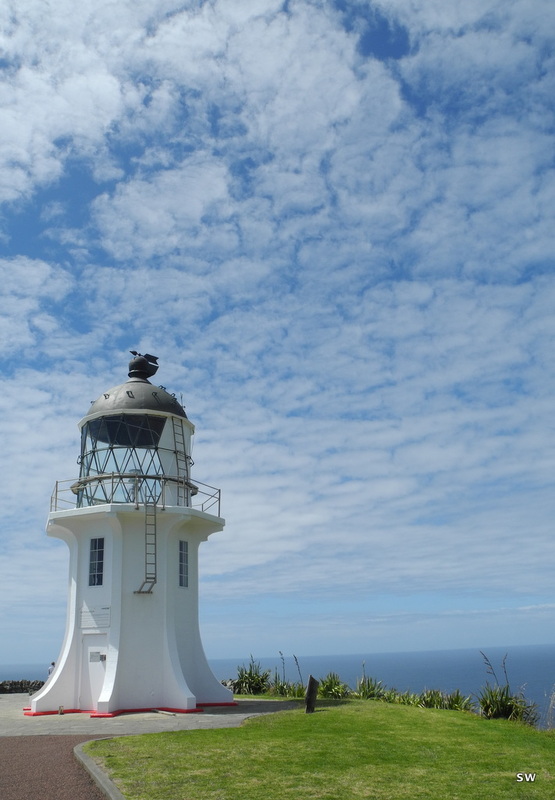 We drove there from Paihia, some endless 200km up North via winding roads, and walked up to the lighthouse while taking in the spectacular views (and fading out the busloads of other tourists). The views really are pretty amazing and from the steep cliffs you can look down to the white choppy waters of where the two oceans meet.